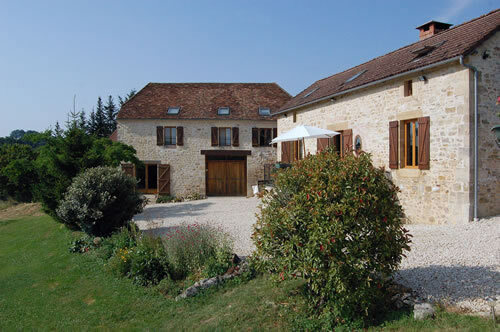 Holidays in the Périgord Vert, Dordogne! Calm, space, picturesque villages, physical activities, culture, nature, in one word the ideal holiday location! Near the lovely little town of Excideuil we rent two caracteristic, independant holiday homes. 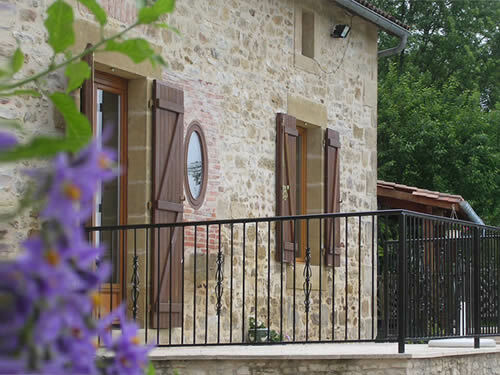 These two gîtes can be rented separately or together (with an interesting discount). 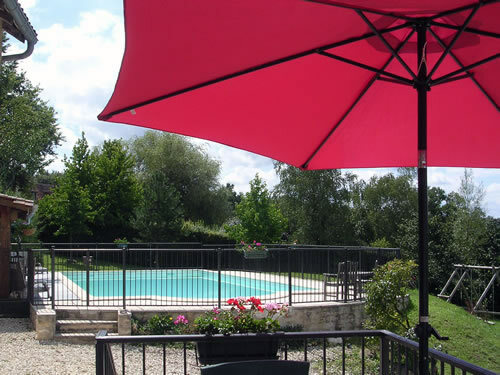 There is a swimming pool of 5x10 m for the guests of both houses and a partially covered terrace with a wide view over the hilly landscape. 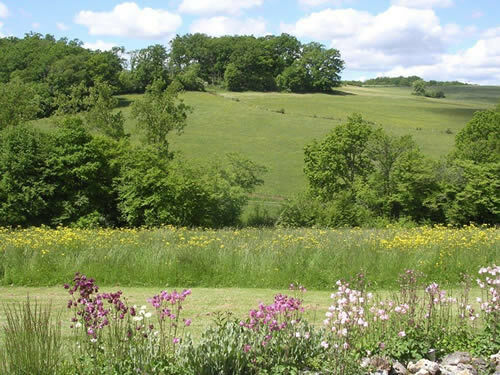 Near Saint Germain des Prés you can make lovely walks and there is much to see and to do: a bike ride over the hills and through the forests, drinking a coffee at the foot of the castle of Excideuil, canoeing on the river Auvézère, visiting the caves of Tourtoirac.